Facebook's popularity is skyrocketing, drawing more than 400 million people to this combination online village green, personal website creator, and souped-up address book. But one thing you won't get when signing up is a printed manual. 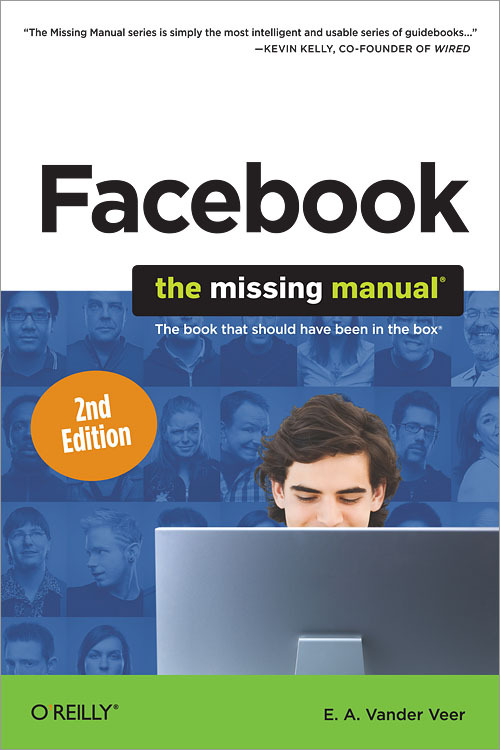 Enter Facebook: The Missing Manual, Second Edition -- the witty, authoritative guide you need, now revised and updated to include all of Facebook's latest features. Getting started, getting connected. Signing up is easy, but the real payoff comes when you tap into networks of coworkers, classmates, and friends. This book explains it all-including how to pick and choose who gets to see what, and how to steer clear of people you want to avoid. Adding applications. Ranging from silly (fortune cookies and video games) to serious (goal tracking), thousands of mini-programs can transform your Facebook account into an addictive, one-stop resource. Learn how to find and install your favorites. Facebook for grownups and businesspeople. Facebook isn't just for Junior anymore. Thousands of companies and business professionals use the site for everything from project collaboration and advertising to filling (and finding) jobs. This book is written for adults of all ages. Protecting your privacy. Creeps are everywhere online, but on Facebook you can feel especially exposed with so much personal info on display. This book offers an easy-to-follow, multi-pronged approach to staying safe.